This past week and a half has been brewing with waves, and waves of energy. I think us coasting out of Mercury in retrograde may have a teenie, tiny bit to do with this feeling. Maybe it’s the seasons changing? Kids are going back in school, so your favorite lunch joint is more relaxing during your break. Do you feel the gears churning? Change is on the horizon, and it feels damn good. This coming Friday cmd+f will have its first guest contributor. I’m so excited to share this letter with y’all; since I’ve already had a peek, I can confirm it’s dope! If you’re interested in taking over cmd+f for a week in the future, be sure to check the bottom of this letter for more details. Now… onto the tunes. I’ve handpicked five songs that’re going to rock your socks off. ¡Dale! Kim Petras has a new bop. I’ve listened to it, I like it, but it’s co-written by Dr. Luke. [loud booing noises] Feel free to search for it on your own if you are wont to do; I will not be linking it here. P.S. 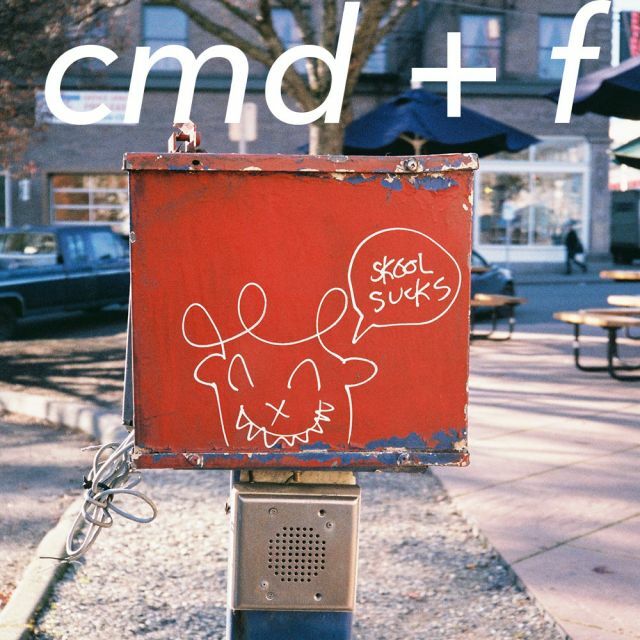 Are you interested in contributing to cmd+f? Read more details below! Last December I launched the cmd+vent calendar: an ambitious project that consisted of releasing a daily newsletter for the 12 days leading up to Christmas. I asked a handful friends to reflect on how music impacted their lives throughout 2017. It was much more exciting to share these reflections than compiling yet another end of the year “Best of…” list. I’ve been thinking of ways to expand cmd+f’s potential over the last 6 months. To foster a more communal atmosphere all year round in this (mostly) weekly newsletter, I’m now inviting one reader per month to share their music discoveries by emerging artists, or artists likely flying under our radars. To the readers currently subscribed to this letter via email, I’d like to encourage you to reply to this letter (really, just hit “reply” at the top of your box and I promise I’ll get your message), give me a hello, and let me know if you’d be interested in taking over cmd+f one week. You’ll get to write an opening monologue, introduce yourself, and gush about five songs really hitting at your heartstrings. If you’re unsure how this is going to go down, you can anticipate the first guest feature letter is coming out THIS FRIDAY! For now this invitation is only open to email subscribers — so if you have a friend with a vibrant musical palette that isn’t currently subscribed, please have them head over to this link right here!